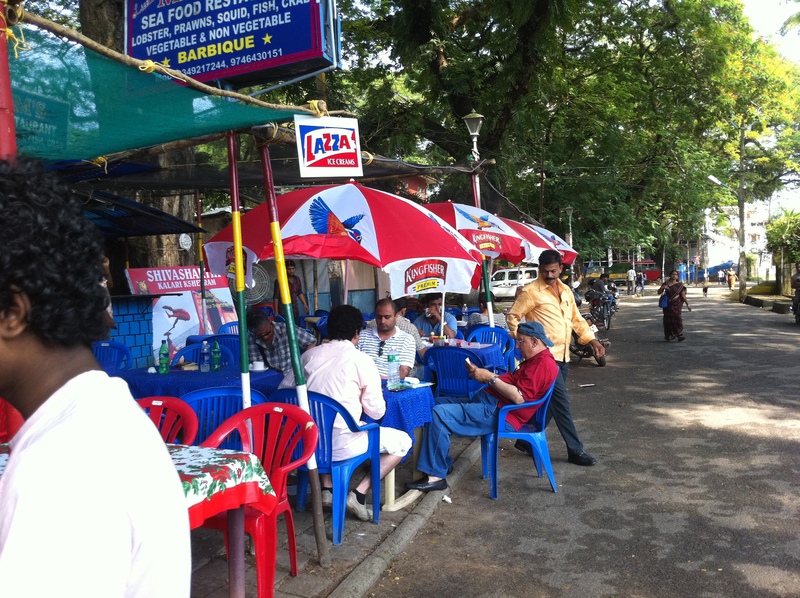 A couple of masala dosas later, we headed to Fort Cochin. Still the capital of spices, (black pepper,cardamon,turmeric, etc) the ex-fishing village blended left overs from various European, Arab, Chinese and Jewish cultures that lived close to one another like one big happy family, once upon a time. Hence, God’s Own Country. 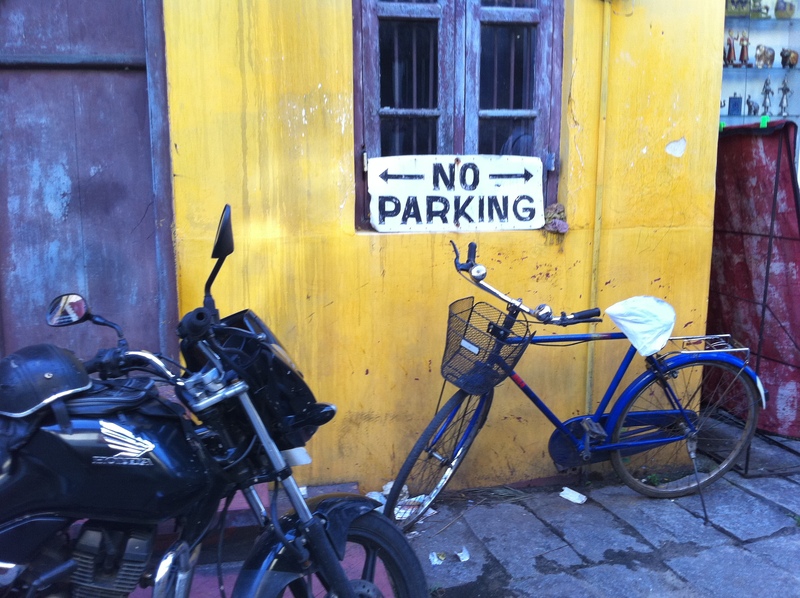 Fort Cochin is definitely a walk-it kind of place because it’s historic and every corner possesses a unique charm. So, in the 1500’s, the Portuguese were the first to colonize India, commanded by Portuguese explorer Vasco Da Gama. 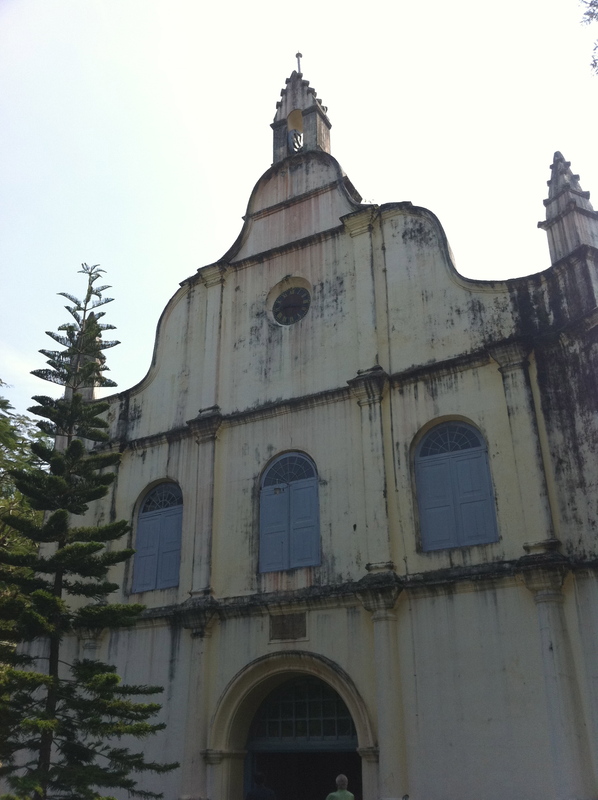 Before his body was sent to Lisbon, he was buried in St Francis church in the early 1520’s, the only Roman Catholic church standing in Cochin as the Dutch (Protestants) destroyed all Catholic churches after they colonized India in the 1600’s. We walked by several colonial style ancient houses that had been converted to boutique hotels or guest houses. 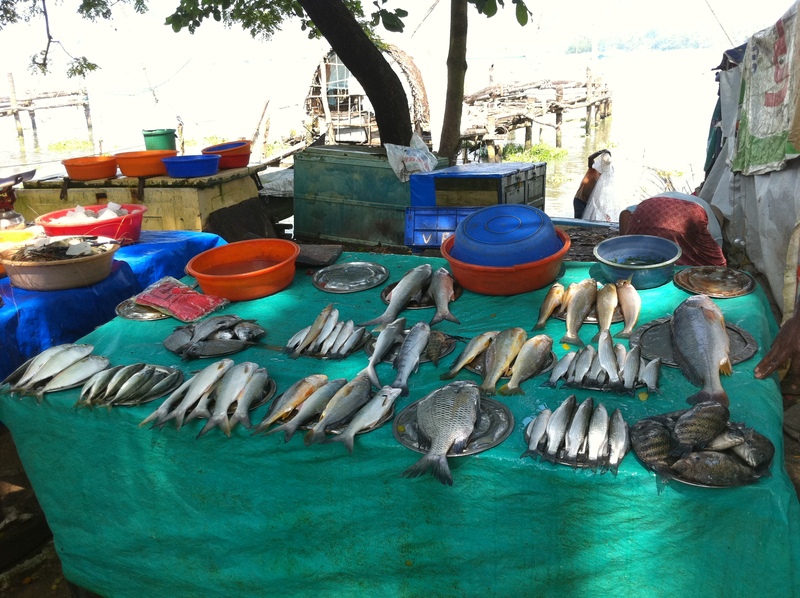 Some, overlooking Vascodagama Square and the famous fishing village, possibly introduced by Chinese explorer, Zheng He. 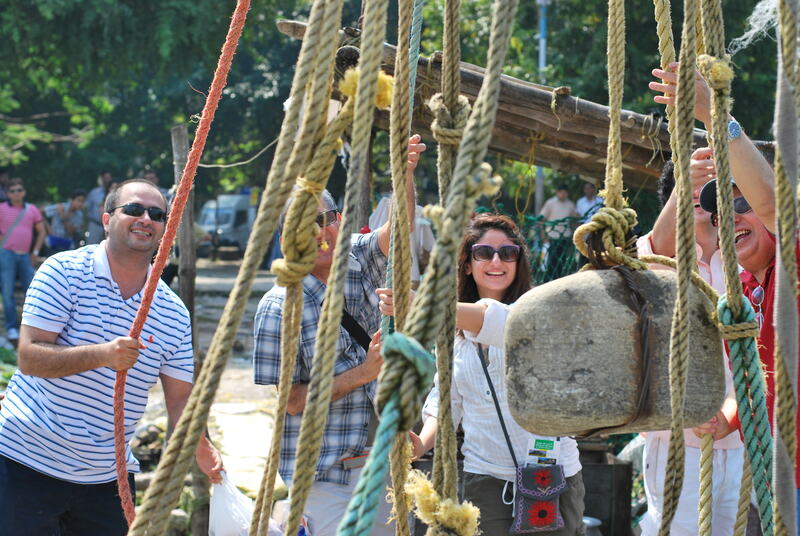 We were blackmailed to join this group pull fishing nets and chant utter nonsense. Catch of the day? Get me out of here! Okay Okay. Lunch was today’s catch marinated and BBQed in exotic South Indian spices wrapped in a banana leaf worth the long wait. A damn long one. Did we love it? Totally! And so did the obnoxious black crows that persisted on circling over our meal until we left. Several modern art galleries, cafes and boutique hotels run by Europeans settlers are dotted around the island. 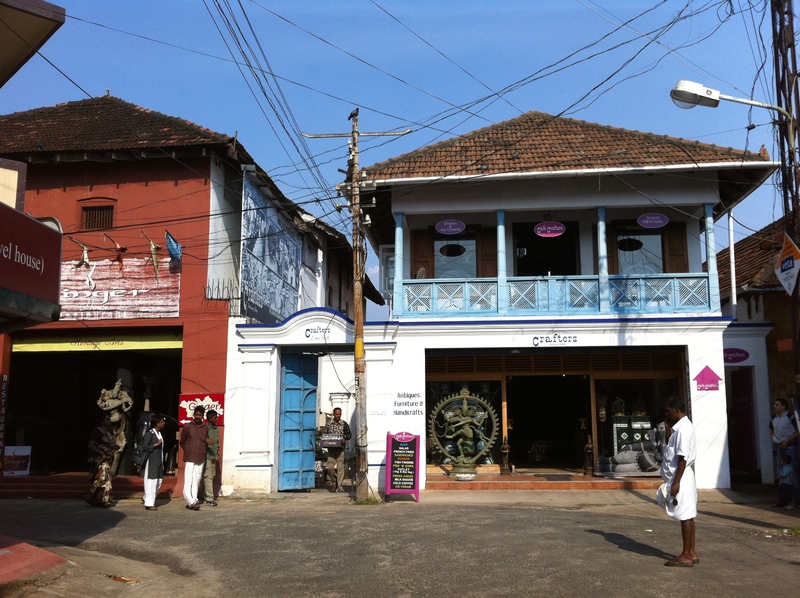 We headed towards Mattancherry, the historic part, to visit the Mattancherry Palace (Dutch Palace) and Jewish quarter. 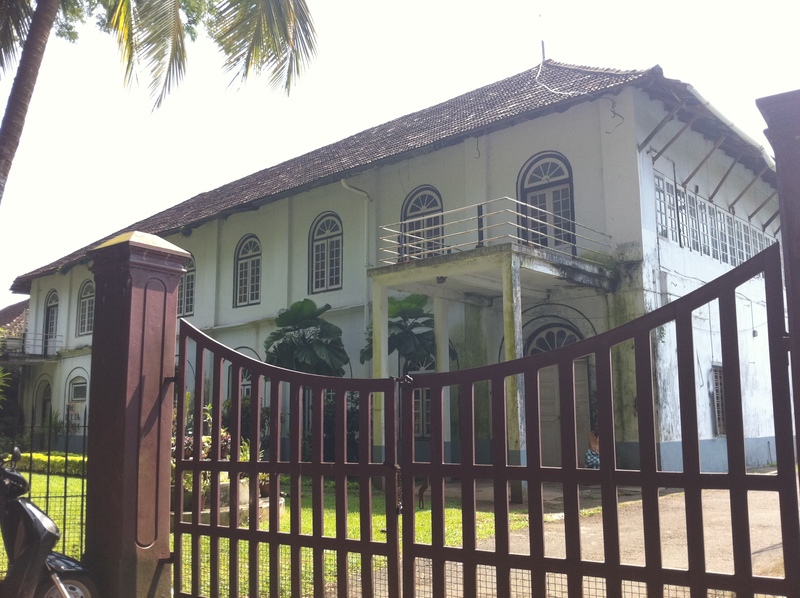 From the outside, it looked like a jail but it was worth going in to look at portraits of Kochi Rajas, murals in Hindu temple art and interesting Keralite style wooden ceilings and floors. Rather Temple-ish.Or not. 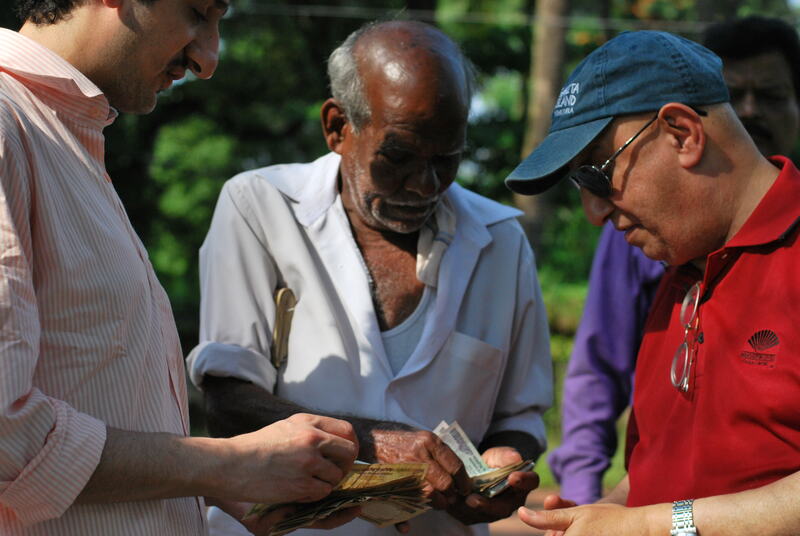 An irresistible toothless AND barefooted gentleman approached us outside the palace to exchange dollars for Indian Rupees at an attractive rate. We figured exchange houses come out looking for people like us. The more time we spent outside the minibus, the more dealers approached us. The trick: You’ve dealt.Move on.You will feel like a fool. While we walked through the market in the Jewish quarter, we noticed that the buildings were more decorative and colorful, and observed a dramatic transformation in the physical appearances of the minorities. This is all I could capture of the palace exterior. 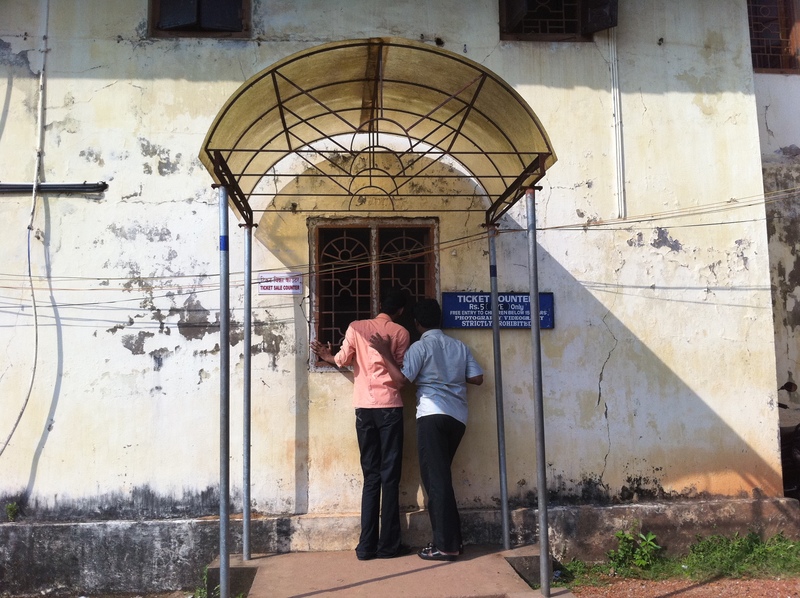 The ticket booth or the love? Before calling it a day, we stopped by Ernakalum, Kerala’s most commercial, overpopulated and chaotic district. More potholes, insane traffic, cars, rickshaws, buses, honking, people, noise, animals and everything. Just like how I pictured it. I will leave it to your imagination. The next morning we drove along route NH 47 up to Munnar. 7 hours or so. Actually, who knew? It depended on the climate and how clear it was up in the hills, which nobody warned us about.